2020 Engineering designed several Multi-Sensor Imaging/Laser Payloads for Airborne Surveillance and Reconnaissance. 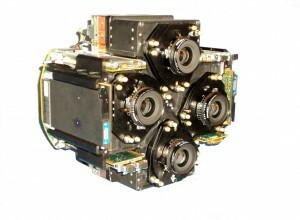 The modular Payload design allows for using a suite of interchangeable High Definition (HD) Electro-Optical (EO), Infrared (IR) and Laser sensors. CAE including stress, vibration and thermal analysis were used for weight optimization and to ensure that system will perform well over harsh environmental conditions. The design provided easy access for sensor boresighting, maintenance and precise balancing.